C. C. Tsai is one of Asia’s most popular cartoonists, and his editions of the Chinese classics have sold more than 40 million copies in over twenty languages. This volume presents Tsai’s delightful graphic adaptation of The Analects, one of the most influential books of all time and a work that continues to inspire countless readers today. 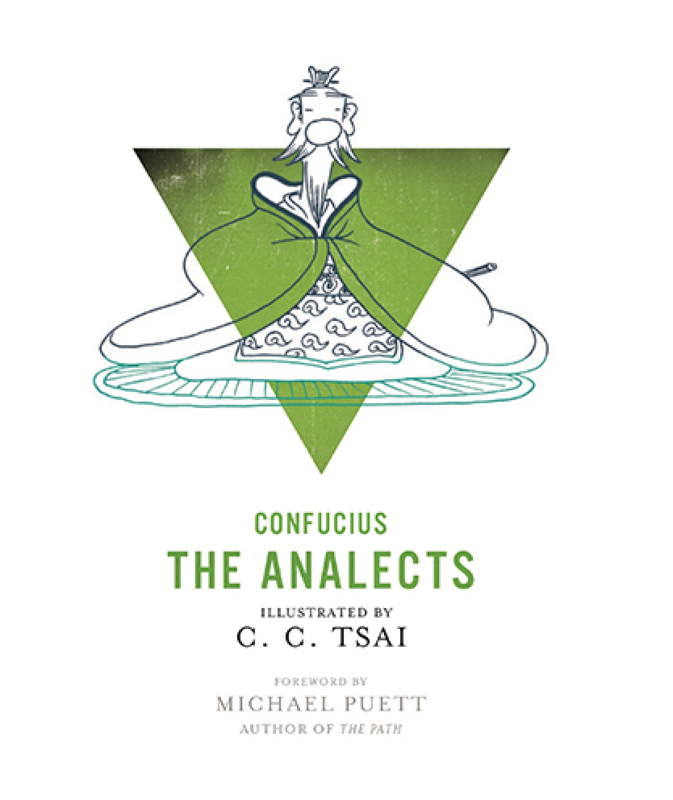 Tsai’s expressive drawings bring Confucius and his students to life as no other edition of the Analects does. See Confucius engage his students over the question of how to become a leader worth following in a society of high culture, upward mobility, and vicious warfare. Which virtues should be cultivated, what makes for a harmonious society, and what are the important things in life? Unconcerned with religious belief but a staunch advocate of tradition, Confucius emphasizes the power of society to create sensitive, respectful, and moral individuals. In many ways, Confucius speaks directly to modern concerns–about how we can value those around us, educate the next generation, and create a world in which people are motivated to do the right thing.